The moment of truth! Now this is the painful part. To lessen the pain, it’s a good idea to push down on your skin while you’re peeling the pore strip in the opposite direction. If this is how much you got from yours then, congratulations! It worked! 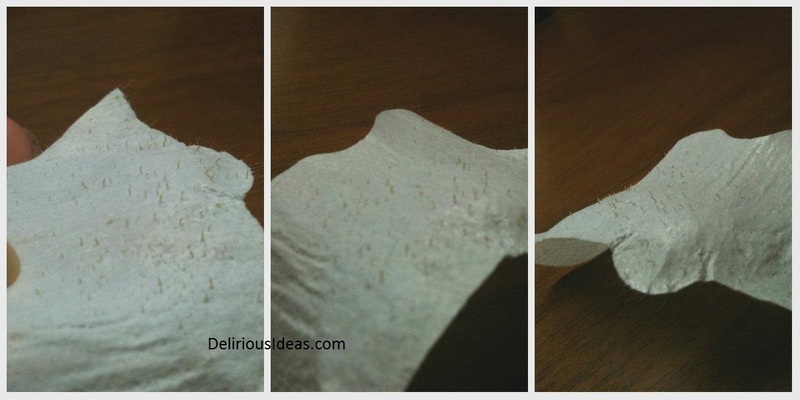 Take a piece of ice and move it around the area where the pore strip came off. Follow it up with a toner and you’re ready to face the day blackhead free! It may look like tedious work but you only have to do this once a week. Make sure that you exfoliate once a week too if your skin is oily! You can go about doing your usual skin care regimen after this routine, like applying your sunblock or moisturizer. The last step (icing and toning) is really important. As you can see in the picture, your pores are still open and you wouldn’t want to go out of the house, exposing open pores to whatever pollution there is outdoors. Do not skip this step! Adding this routine to your skin care regimen will really help make sure skin look flawless, smooth and clean. Try it yourself and see how it works for you! Also, do check out our review of Korean pore pack brands (Innisfree, Baviphat & Holika Holika) and see which gets our thumbs up! delirious ideas, you have a nice concept but your two recommended articles are garbage. even after this I couldn’t get all of them out. Got more of them, but not all of them. I think mine are too deep-seated to get out with the strip, it’s been a lingering problem for years now. How often do you use pore packs? Did you try dabbing your face with warm water first? I don’t have toner but I can do everything else. Would I still be able to do this properly? Is there an alternative to using toner? If you don’t have any, there are some DIY recipes online made from diluted vinegar, lemon juice, tea, etc., you’ll just have to test them out and see what works best with your skin. how fast or slow should you peel off the strip? This was a great tutorial! Thanks so much for it. I’ve used pore strips before and been disappointed by them. However after following the instructions provided – washed my face, steamed my face for 4 minutes or so, and then used the pore strip – when I pulled it off it was covered in gross little dirt extractions. I also followed and appreciate the after-care instructions. It reminded me of when I used to go to the dermatologist and have my face sprayed with cold steam after they did extractions there. The only thing I might suggest is to use filtered water ice instead of tap water ice. You don’t want your open pores soaking up gnarly stuff from your tap water. The next time I do this I might even by a little spray bottle, fill it with filtered water and put it in the freezer a little bit prior. Thanks again. 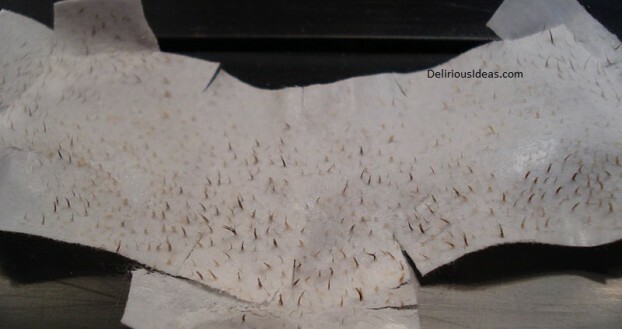 For anyone curious, the strips I used were Biore “Ultra Deep Cleansing Pore Strips” The results weren’t AS dramatic as the photo at the top of the article, but they definitely worked. Thank you for sharing your experience with us Emily! Hello Christopher, yes it is. In fact, we use pore strips to get rid of blackheads on our cheeks as well. But remember not to over-use pore strips. Once or twice a week would suffice! i did everything the steam, washing your face, everything. It still didn’t work. i still have TONS of black heads on my nose…! Why isn’t anything working?